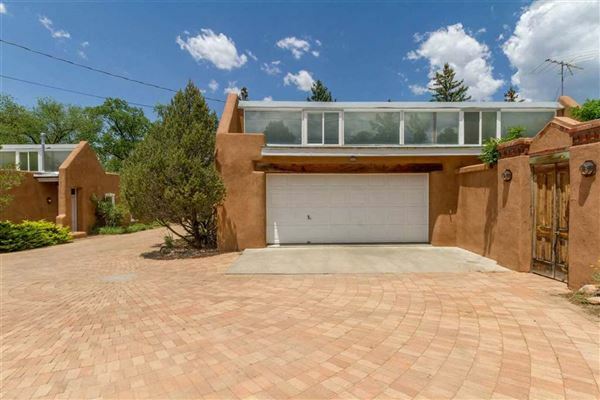 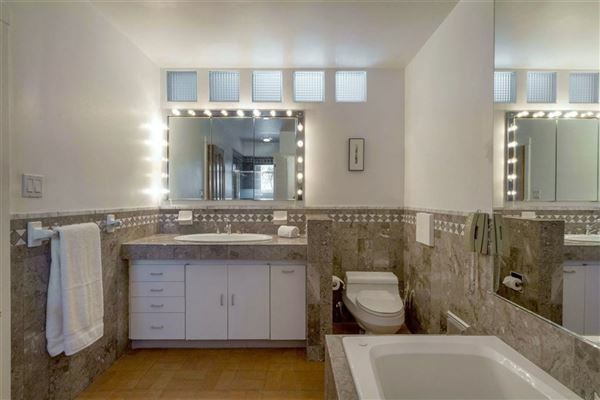 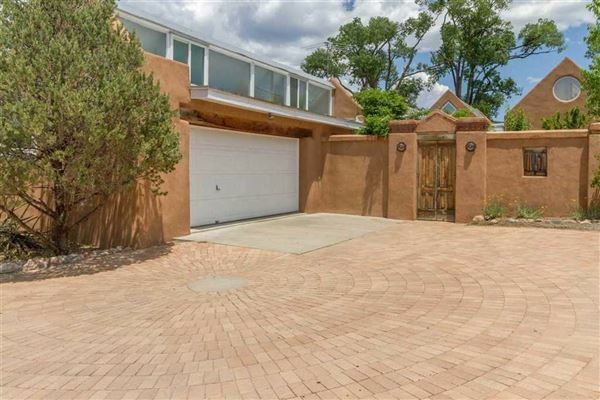 Casa Corazon is a contemporary territorial design estate situated in an ideal location along a charming east side lane off of Old Santa Fe Trail. 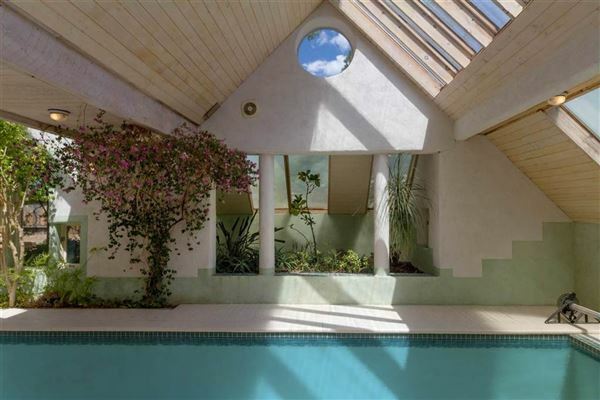 This architectural marvel with 3700 sq. 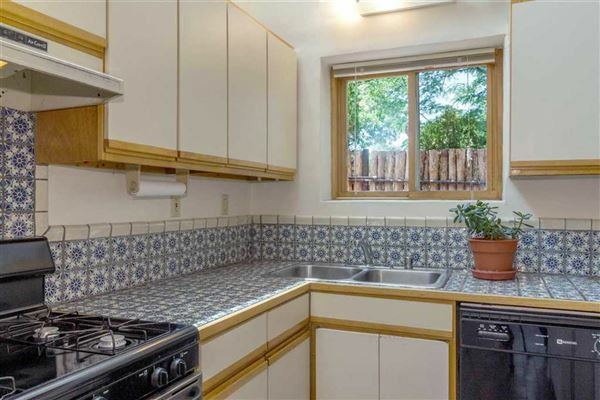 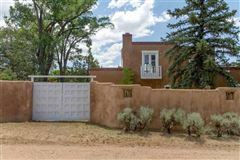 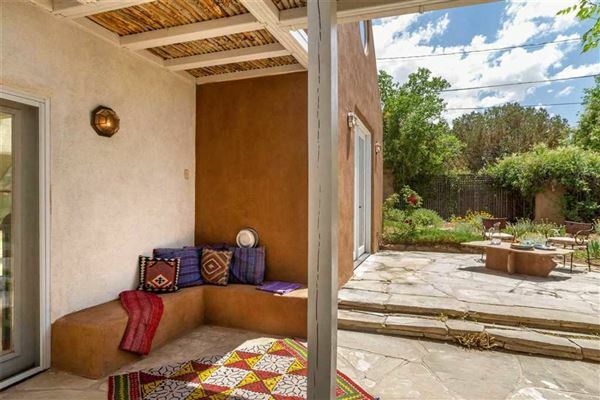 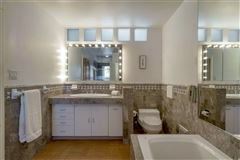 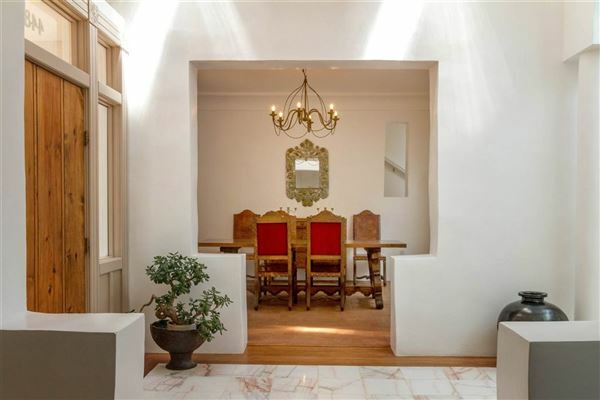 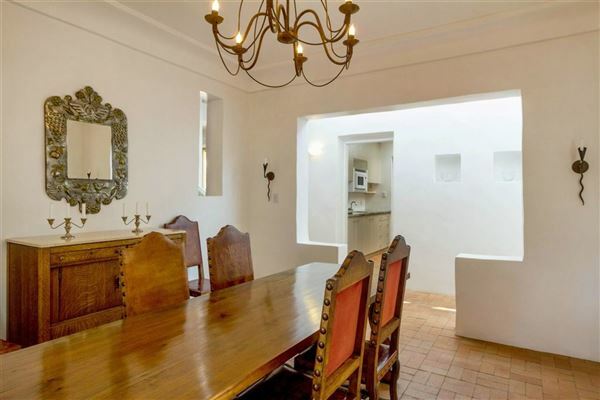 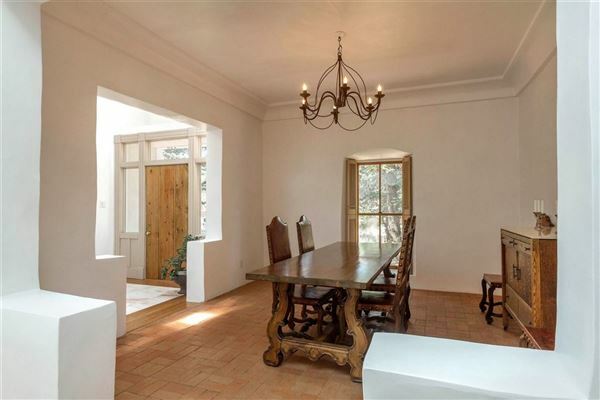 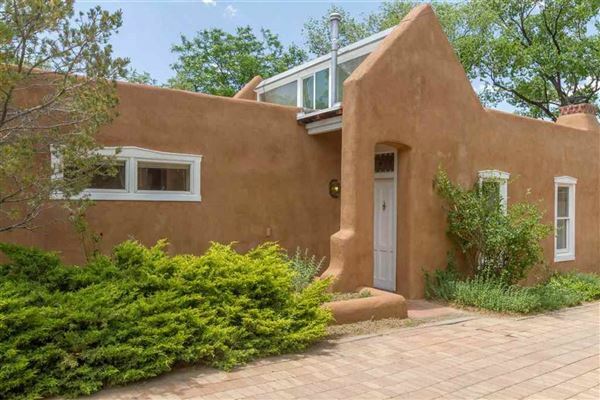 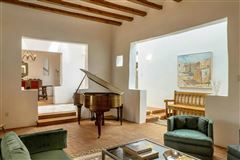 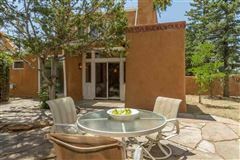 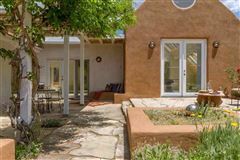 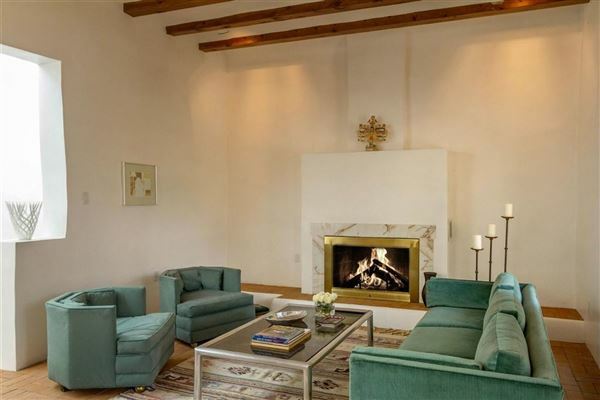 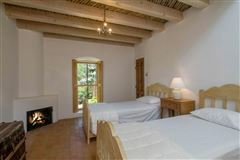 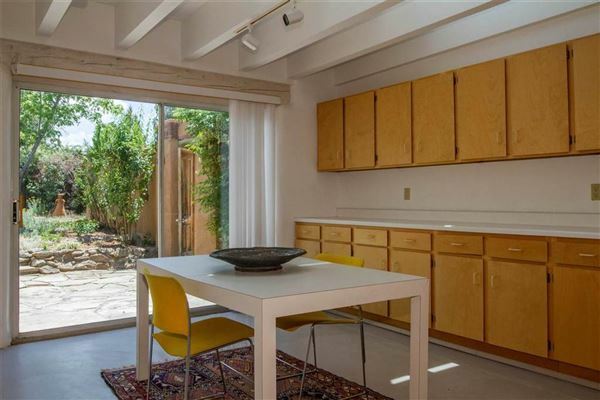 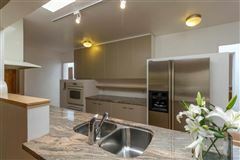 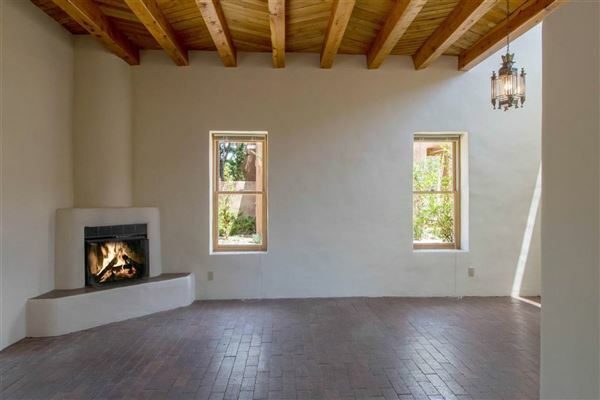 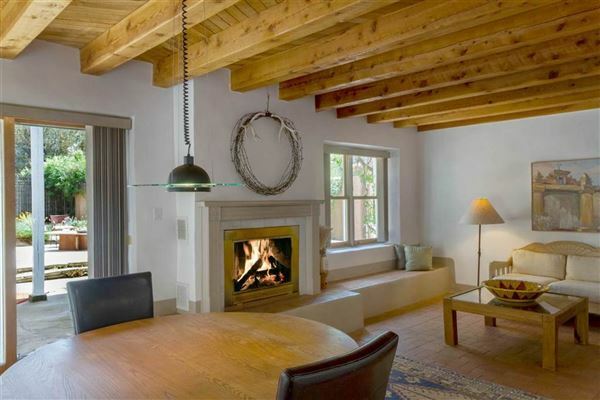 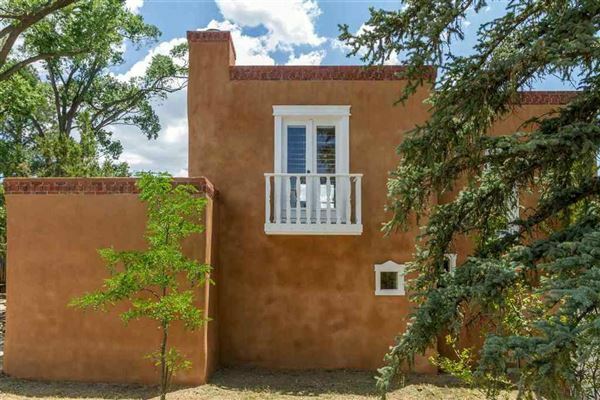 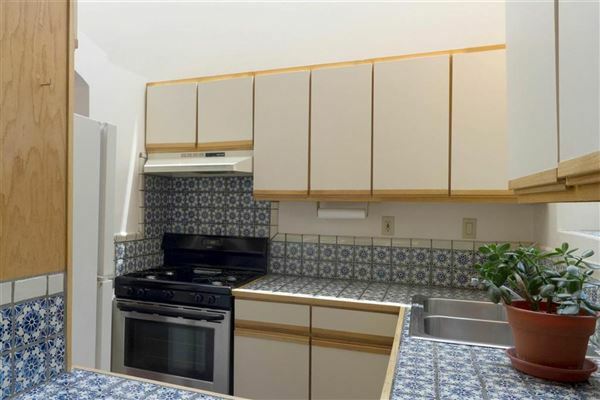 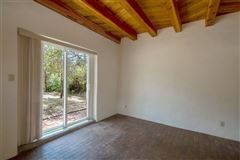 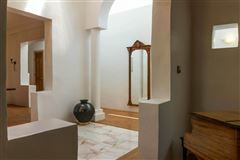 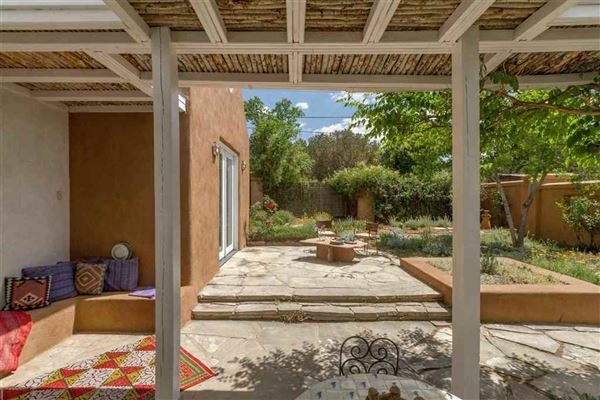 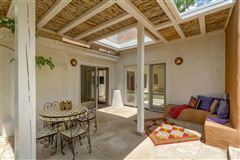 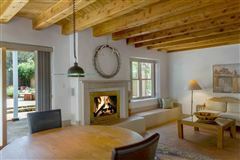 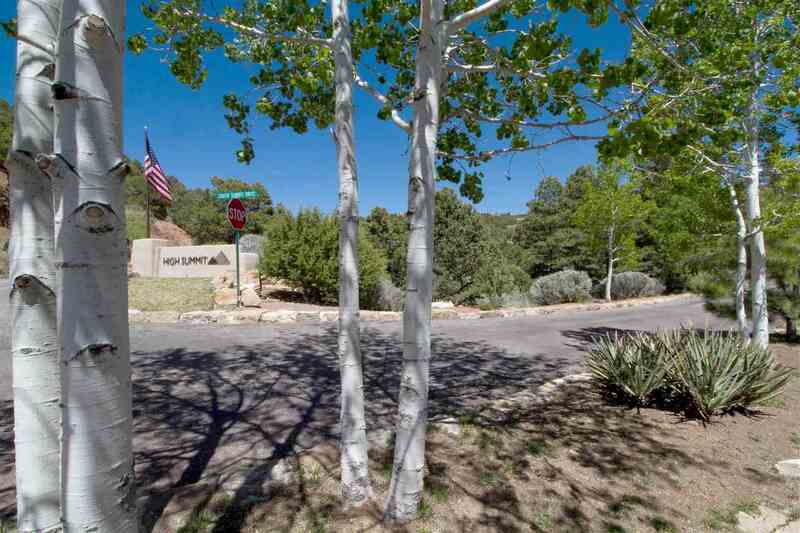 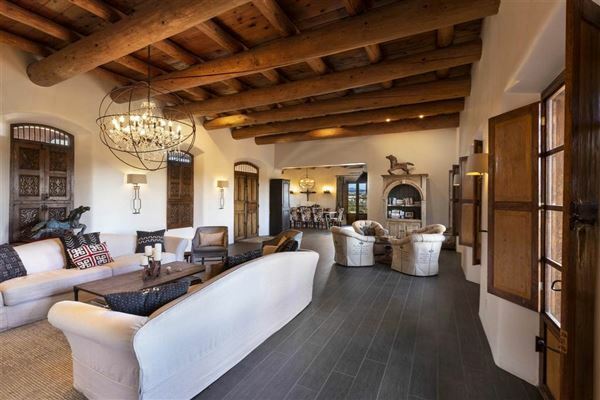 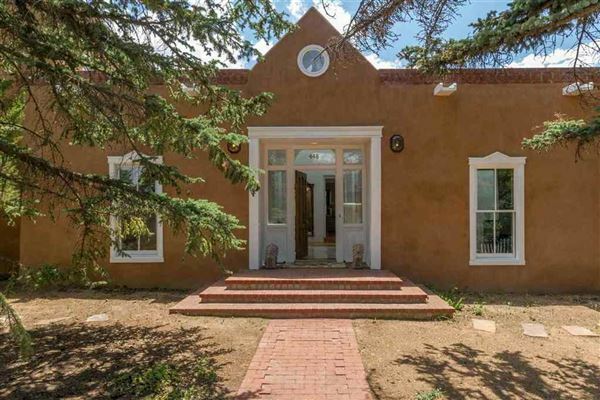 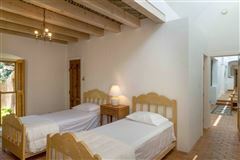 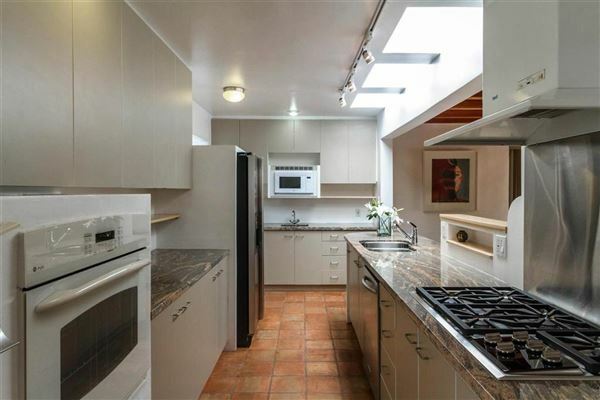 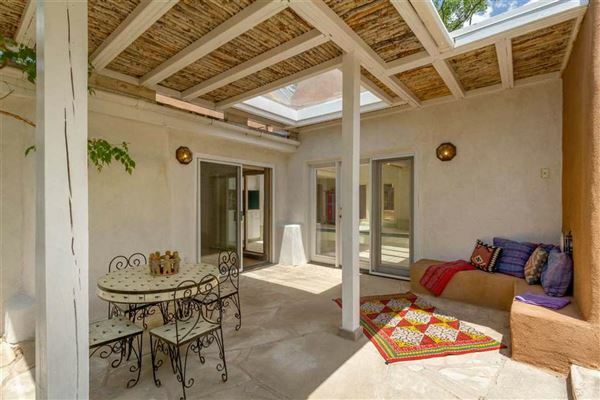 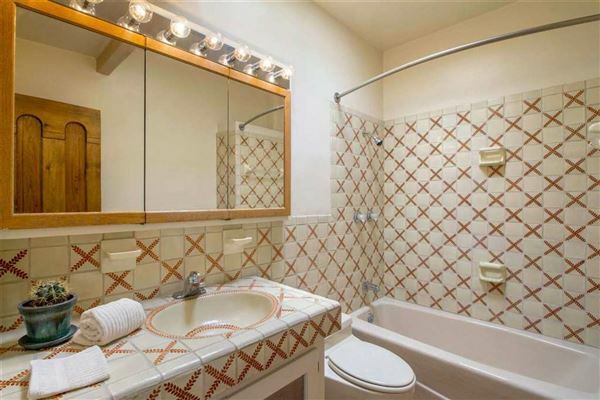 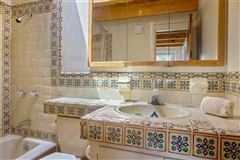 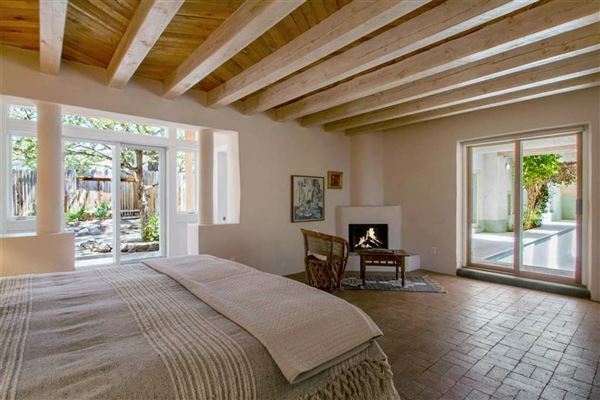 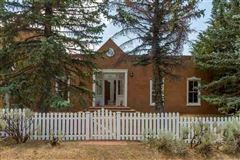 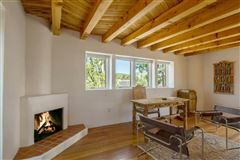 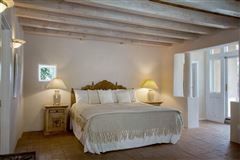 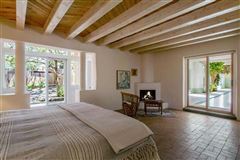 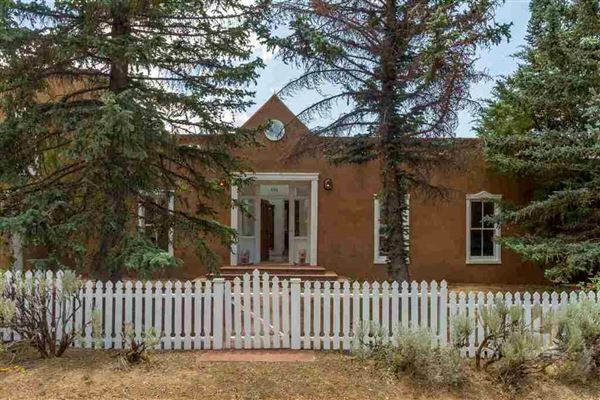 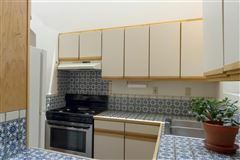 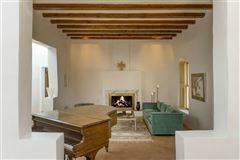 ft. of classic living space is only one mile from Santa Fe’s historic plaza. 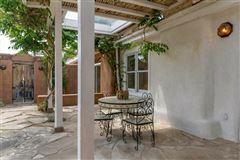 The surrounding half-acre behind sculpted walls is graced with portals, patios and landscaped courtyards. Abundant natural light enhances the brick, wood and marble floors, beamed wood and coved ceilings, and all architectural elements. 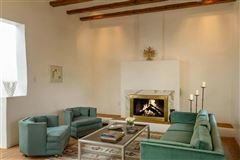 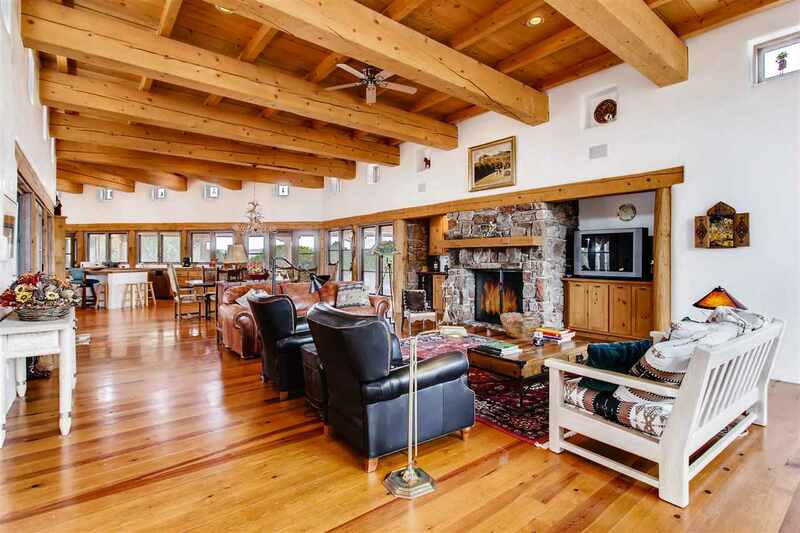 Fireplaces are located in both casual and formal living rooms as well as kivas in each bedroom. 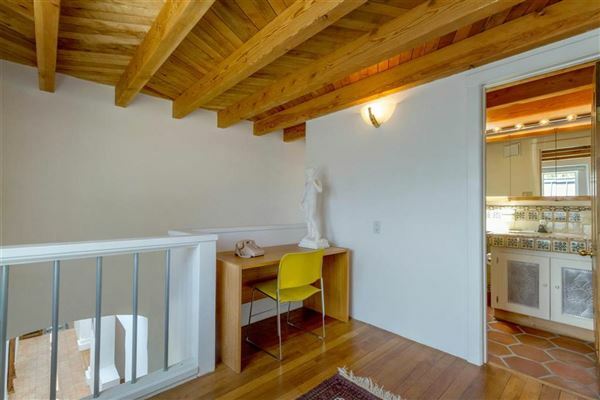 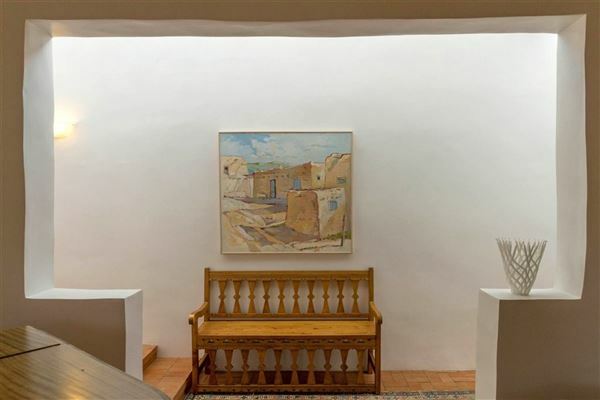 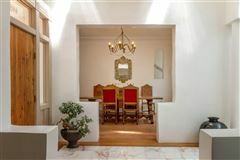 The wide hallway, serving as a gallery space, provides an interior flow to the formal dining room, gourmet kitchen, artist studio, bedrooms and baths. 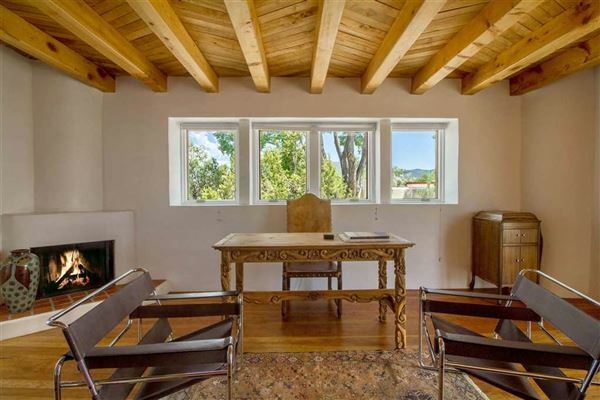 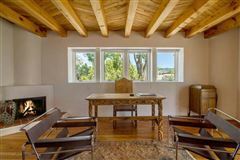 The upstairs bedroom/study allows majestic views of the Sangre de Cristo Mountains. 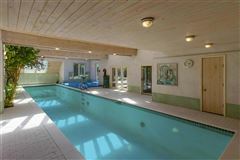 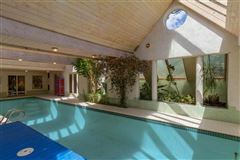 The interior of the home incorporates a 16 meter lap pool centered within an additional 1700 sq. 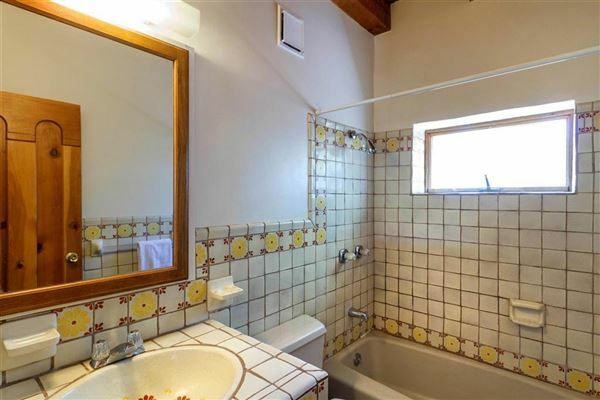 ft. of living spaces featuring a sauna, bathroom and a double shower. 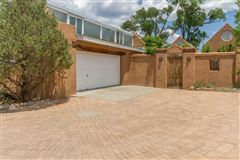 The beautifully proportioned facade is enhanced by a two car garage across from the artistic brick drive leading to the fully equipped 850 sq. 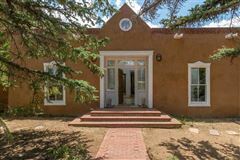 ft. adobe guest house with features reflecting the architecture of Casa Corazon.